Welcome to the September to Remember Giveaway Hop! 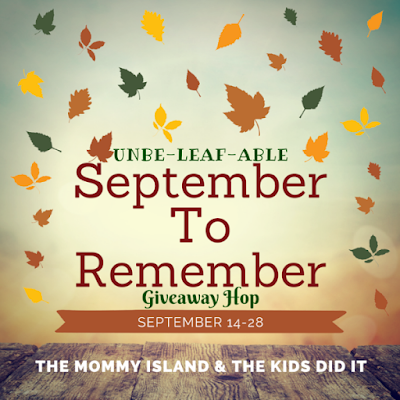 A big thank you to The Kids Did It, and The Mommy Island for putting together another fun, giveaway hop! In this giveaway hop, you could see prizes of all types! Yep - Anything goes! So have fun exploring, and finding some great giveaway prizes to enter to win. Be sure to go through the hop, as there are tons of bloggers joined in, and there are a lot of great prizes to be won! 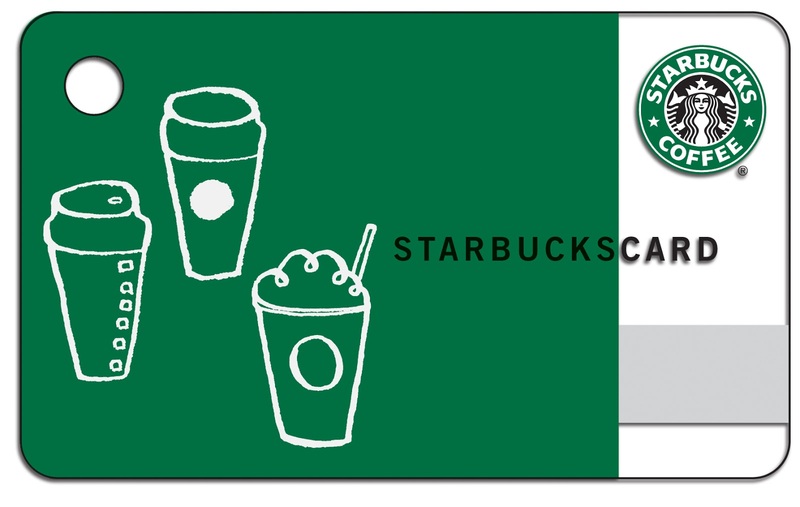 One lucky winner will receive a $10 gift card to Starbucks! 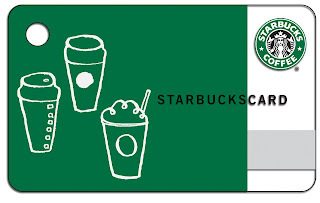 I figured since this is the September to Remember giveaway hop, why not help celebrate with some delicious holiday drinks ;)! Disclosure: I received no compensation. I will be sending the prize to the winner. Must be 18 years or older to enter. Open to Worldwide entries, No P.O. Boxes. NO PURCHASE NECESSARY. This giveaway starts on September 14th, 2016, and will end on September 28th, 2016. Winner will be drawn via Random Generator on GiveawayTools, and will be announced on top of the giveaway form, as well as on the top "Winners" page. The winner will be emailed and will have 48 hours to respond to my email before a new winner will have to be drawn. If you're tweeting for entries, you must have an "unlocked" account. The number of entries received determines the odds of winning. VOID WHERE PROHIBITED BY LAW. I know it sounds cliche but i love anything pumpkin. I always have! Fall is my favorite. My favorite scent might be apple candles though! I love the smell of a burning fireplace. Fall is my favourite time of the year! My favorite fall flavor is pumpkin spice. My favorite fall scent is cinnamon,it smells like something good is baking in the kitchen,like cookies,or pie! I'm all about the pumpkin spice. It's a scent AND a flavor! Win/Win! I love pumpkin flavor and scent for Autumn. My favorite fall scent and flavor is apple pie. Ohhh, I love pumpkin spice in the fall. My favorite fall scent is probably apple pie. I love all things apple flavored in the fall! i love the smell of pinecones. My favorite fall scent and flavor is pumpkin spice. My favorite fall scent is Pine!! I love the Scent and Flavors of Cinnamon & Apples. My favorite Fall flavor is pumpkin spice! My favorite Fall scent is a fresh baked apple pie. I really like the smell of harvest spices. My favorite fall scent is the first smell of fall. It's a smell of leaves, and earthy, dirt-like musk. Right when fall first comes you can smell it in the mornings. I love cinnamon not just in the fall, but anytime of the year. But I do use my cinnamon candles and body wash in the fall months. Yum. I love cinnamon scent and flavor. But I like it year round too! I like the smell of burning leaves, but you don't get it anymore with all the fire/smoke bans. My favorite sent is apple pie or pumpkin pie. I also really like it when the air is really crisp and the leaves are changing. Baked Apple Pie is my favorite fall scent. I love me some pumpkin! Apples, too. Oh I love the SMELL of fall! It's like...when you walk outside first thing in the morning and you breathe in, and you smell the crisp fresh air, and the smell of leaves and earth....lovely! My favorite Fall scent is apple and my favorite Fall flavor is pumpkin spice. I love apple cider scented items, like candles. I love the scent of cinnamon in the fall! My favorite fall scent is apple pie! I love the scents cinnamon, allspice, and nutmeg in the nummy things I start baking in fall. My favorite fall flavor is apple. I love smelling pumpkin candles and eating pumpkin things! My favorite fall scents are pumpkin spice and Caramel Apple. I love the scent of fresh-picked apples. I love the smell of anything pumpkin and warm vanilla. My favorite fall scent is fresh apple cider, falling leaves, and pumpkin pie! Fall is my favorite season. I love pumpkin spice, yum!! My favorite fall scent is cinnamon apples! I love the smell of pumpkin and cloves! My favorite fall flavor is pumpkin spice! I love all of the limited edition items that come out in the grocery stories around this time. I love the smell of apple pie! My favorite fall flavor is apple cider! Thank you for the chance to win! My favourite fall flavour is pumpkin. I love apples, and I love the smell when I'm baking apple pies. My favorite flavor and scent is caramel apple. My favorite fall scents and flavors is apple and cinnamon. I wait all year for a delicious slice of pumpkin pie! My favorite fall scent and flavor are both apple pie. My favorite scent is apples with cinnamon and nutmeg - always makes me feel like their is apple pie baking then. Just a really good smell to have surrounding you. My favorite fall scent is the smell of firewood burning. My favorite fall scent is pumpkin pie. My favorite is a mix of vanilla and pumpkin. My favorite fall flavor is defiantly pumpkin. I love the flavor of Pumpkin Pie and Turkey with Cranberries the most in the fall season..
My favorite fall scent and flavor is gingerbread!